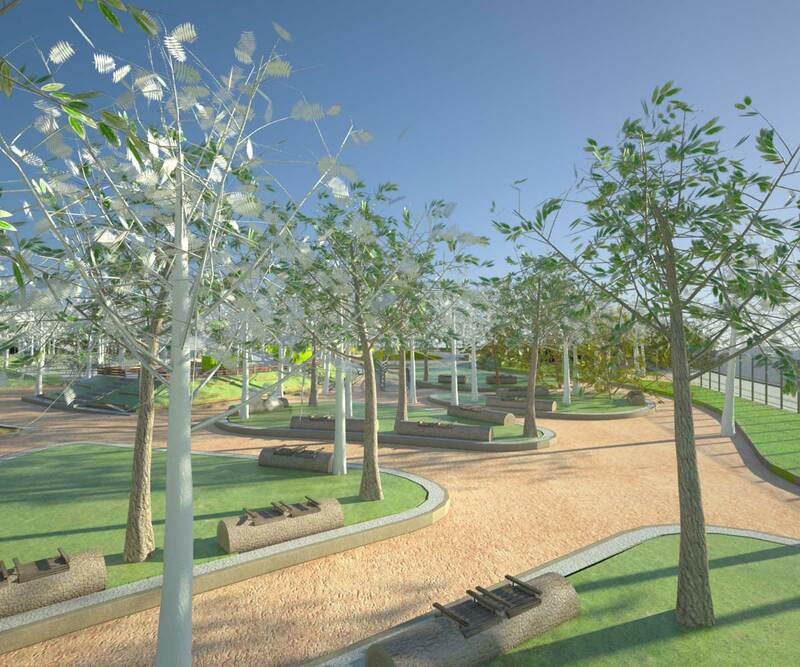 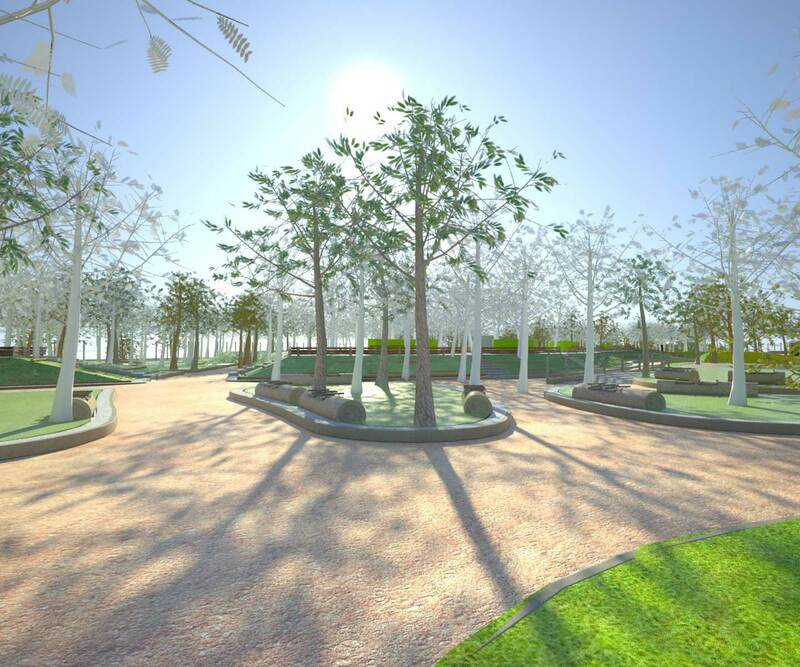 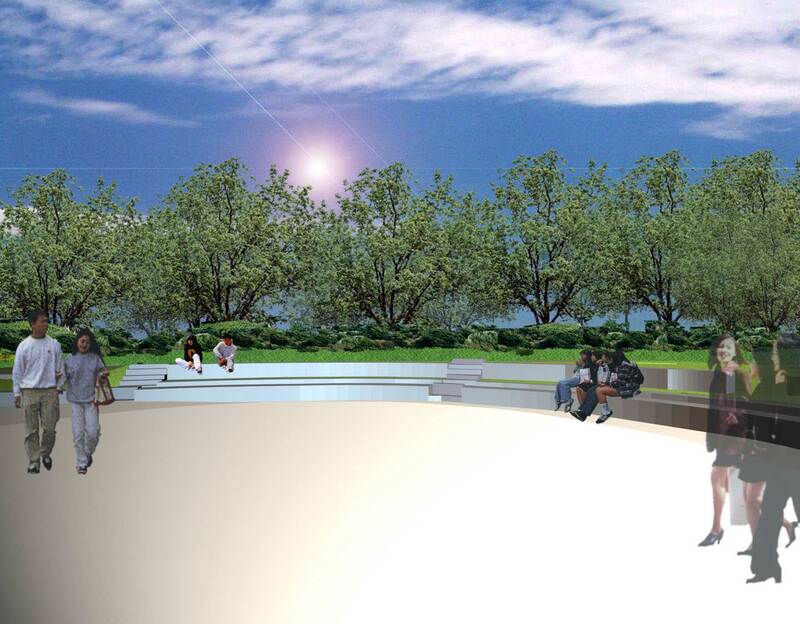 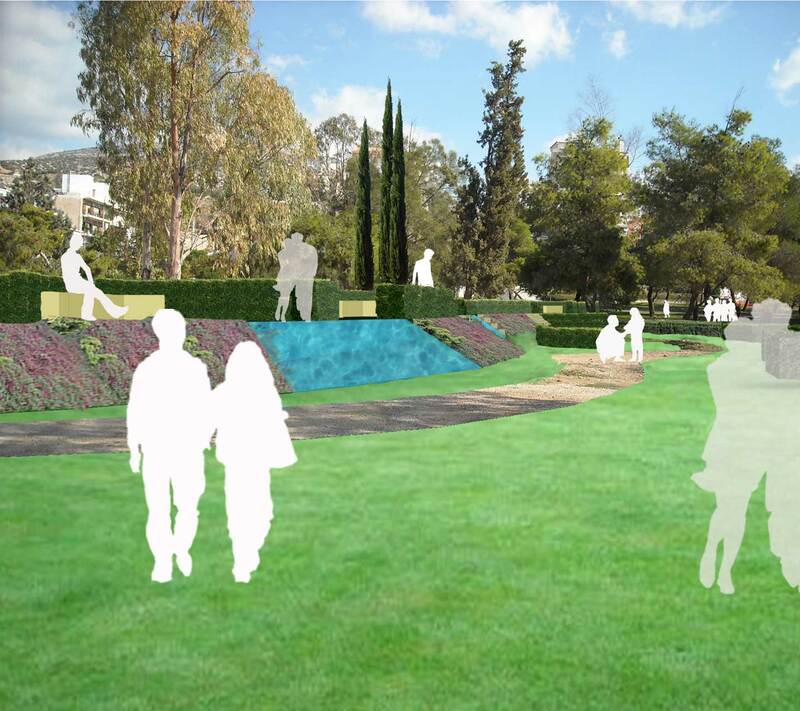 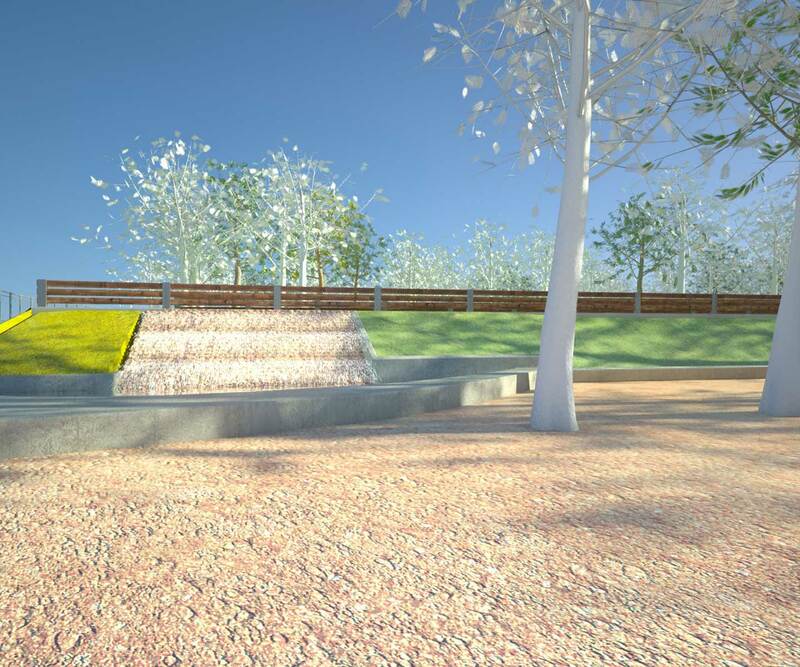 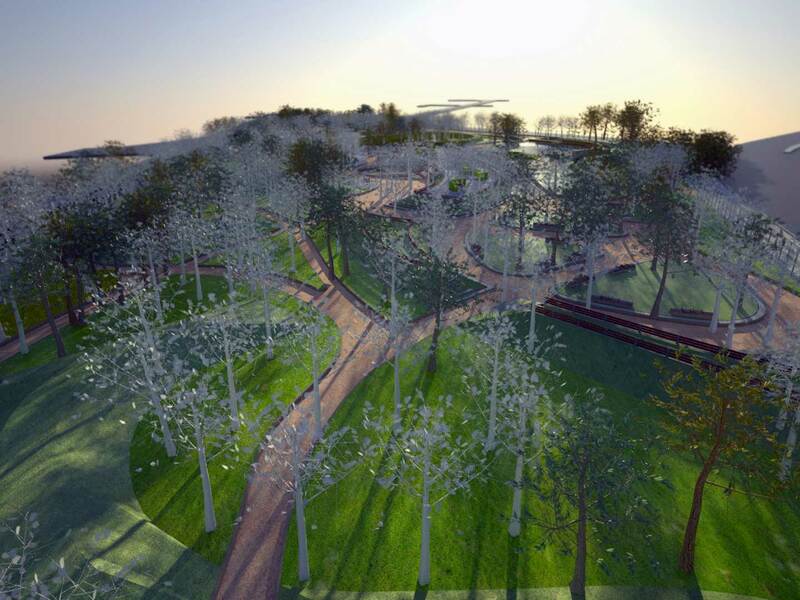 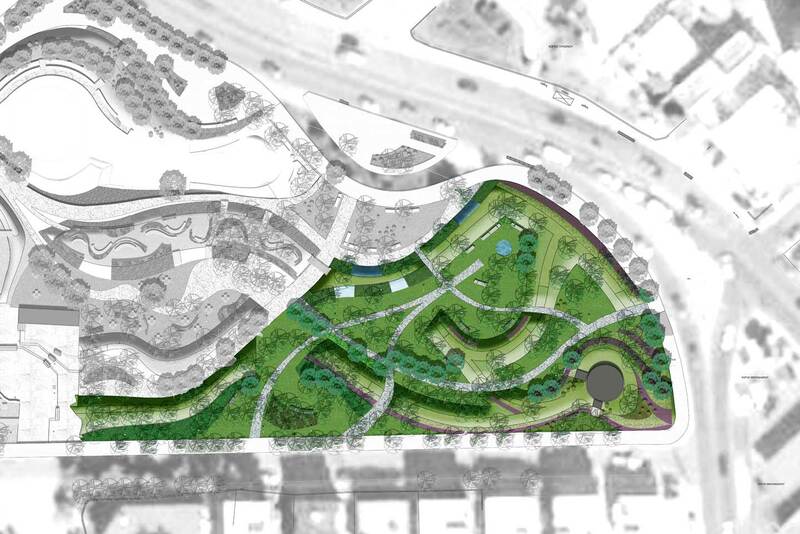 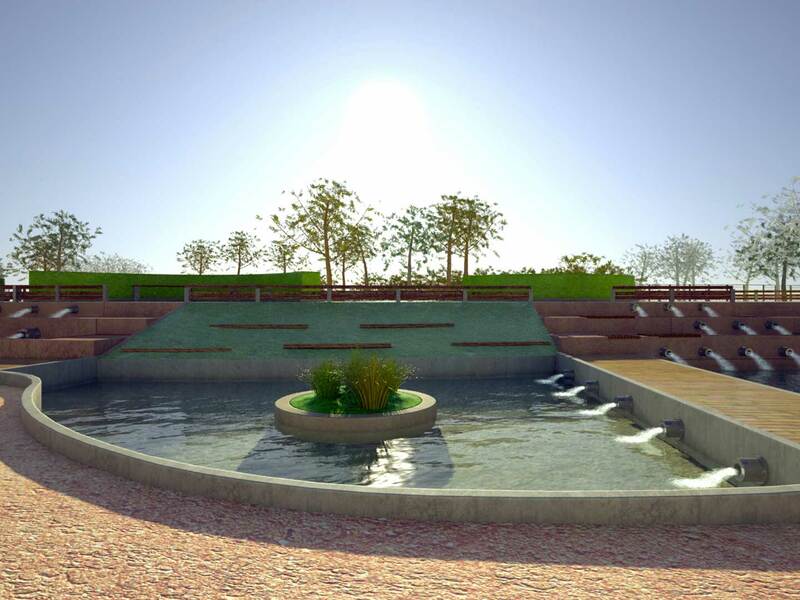 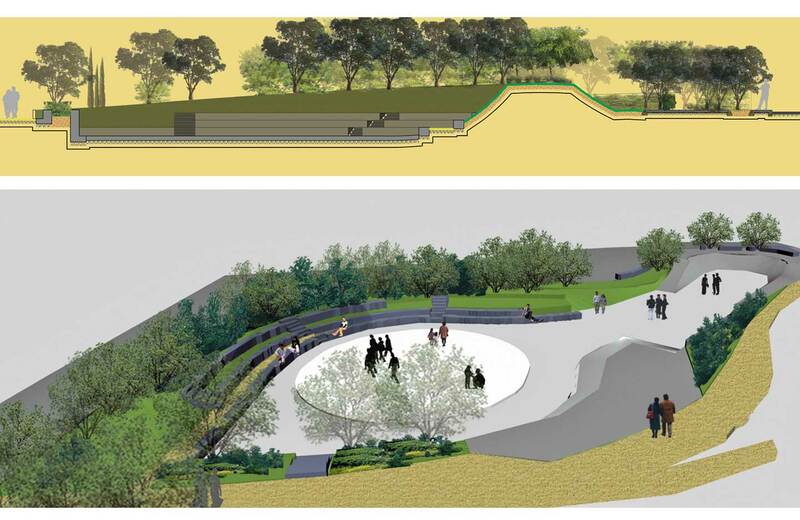 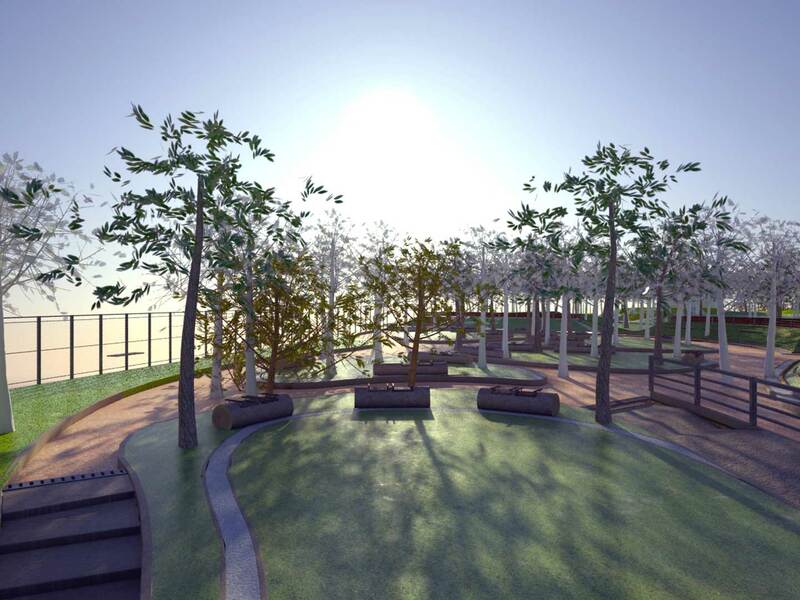 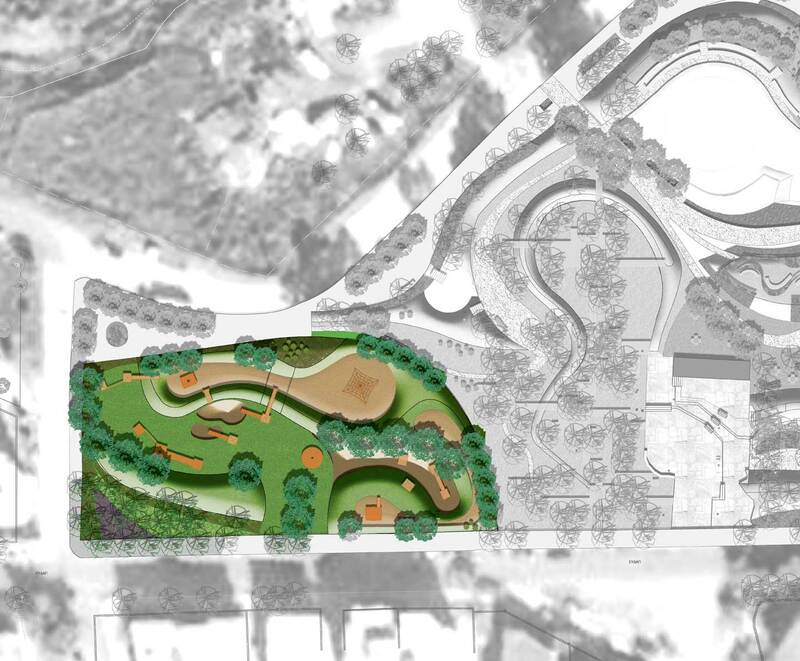 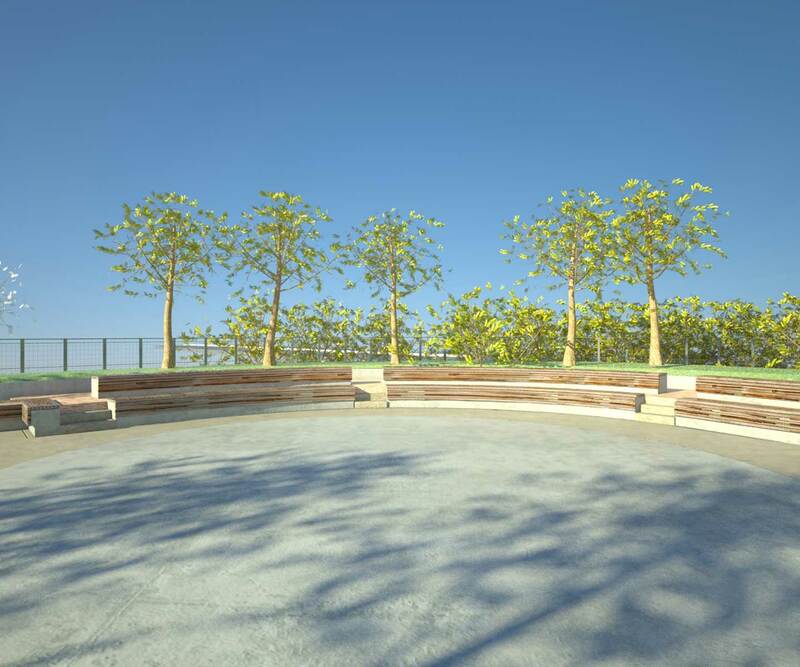 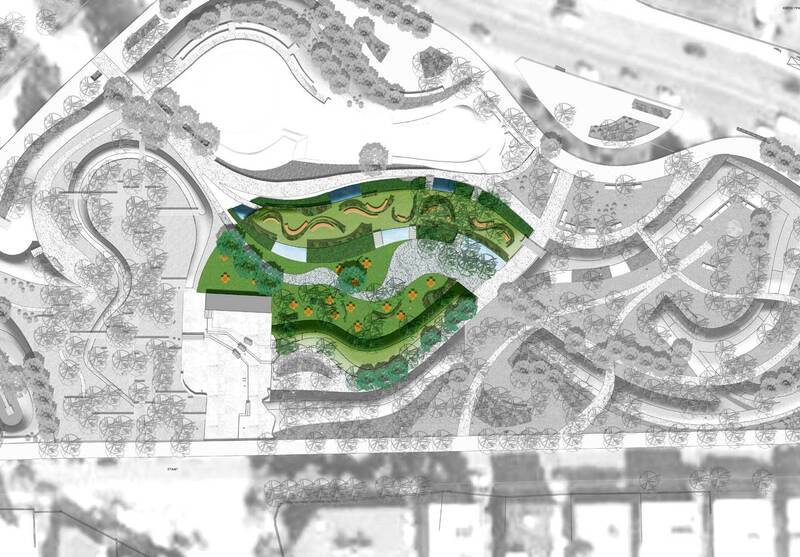 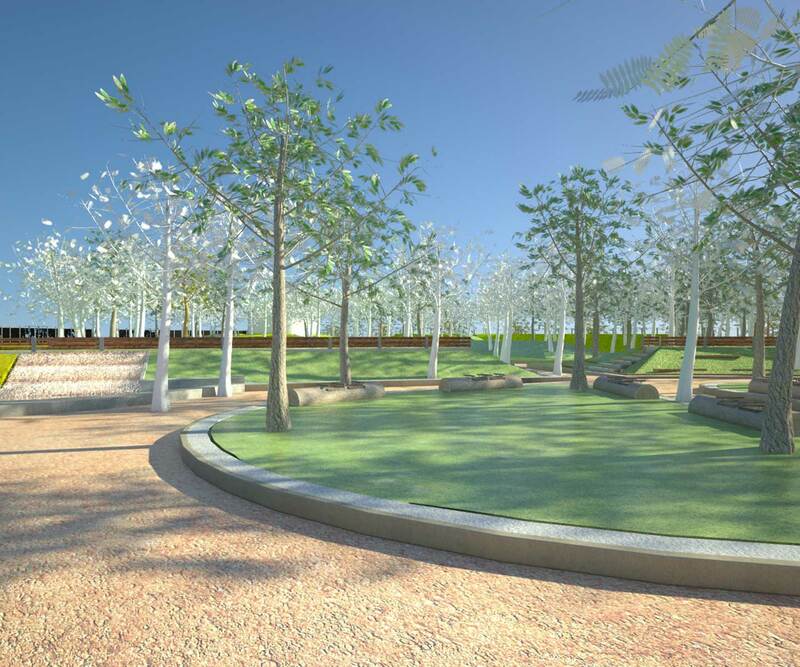 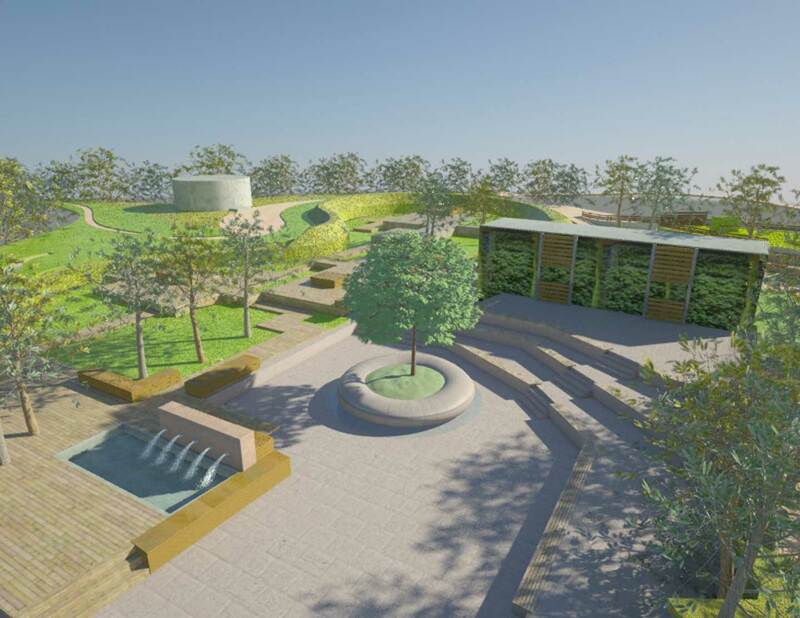 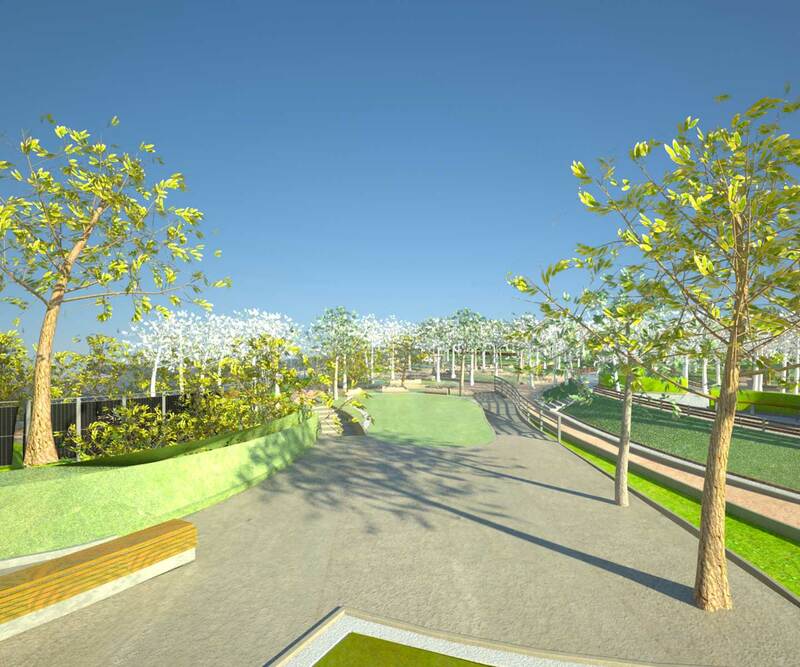 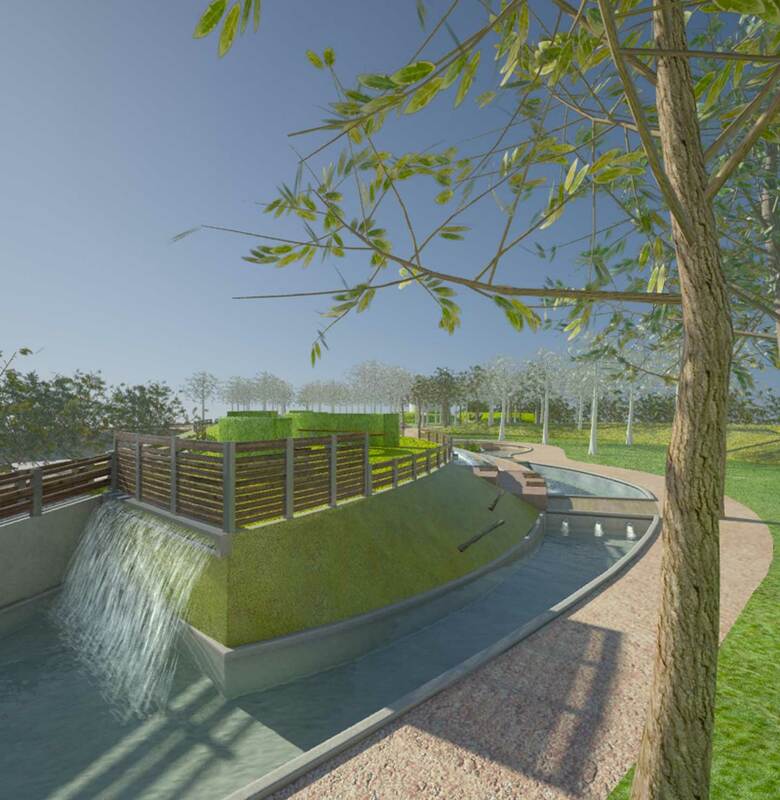 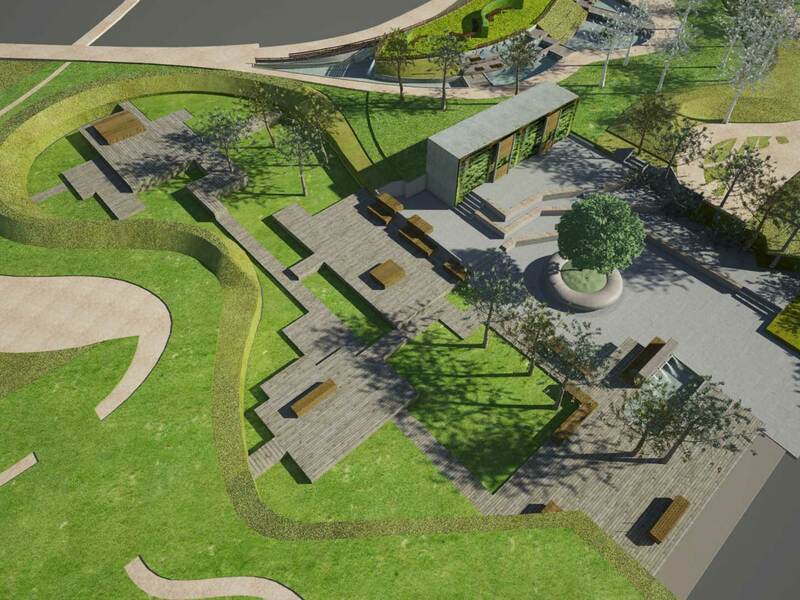 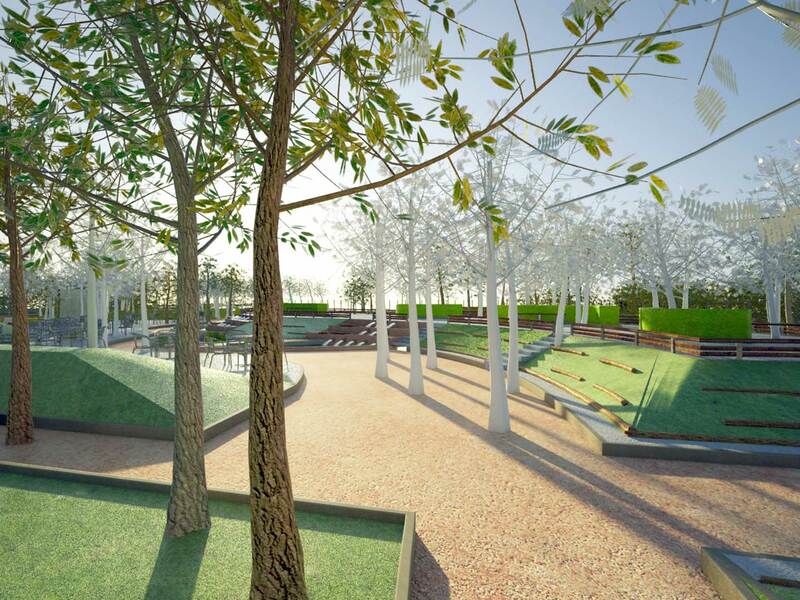 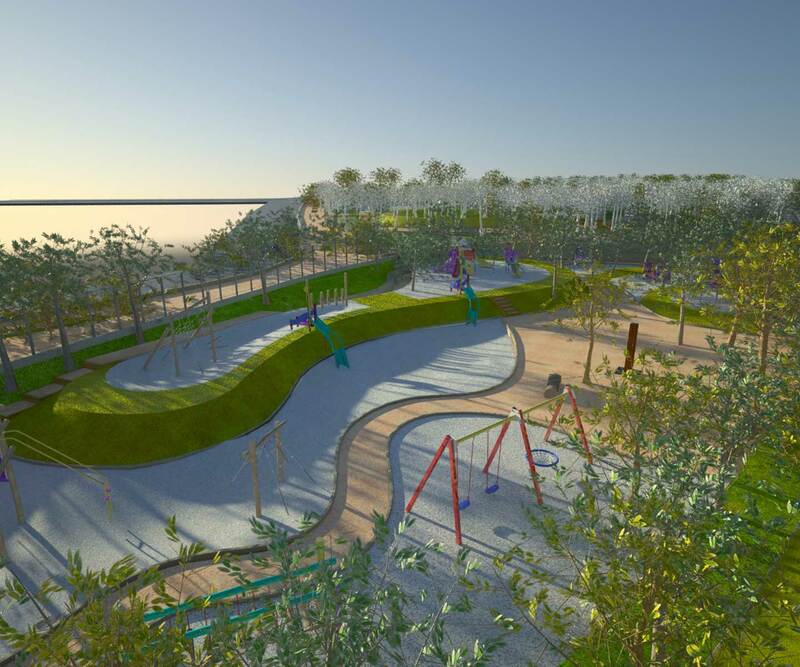 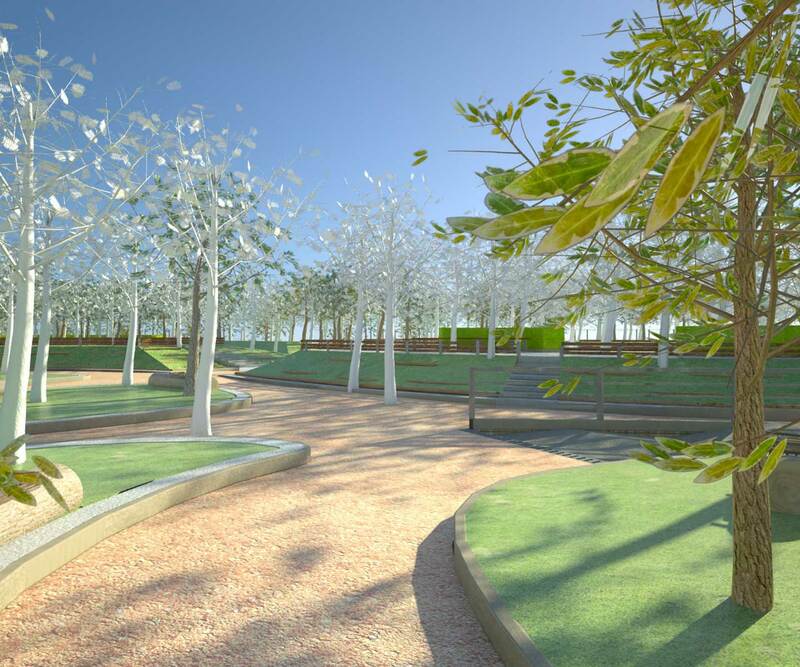 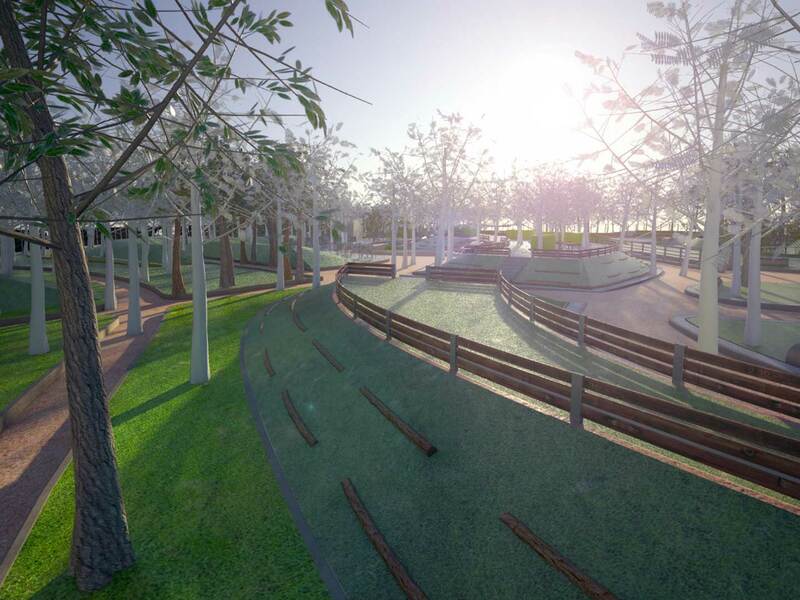 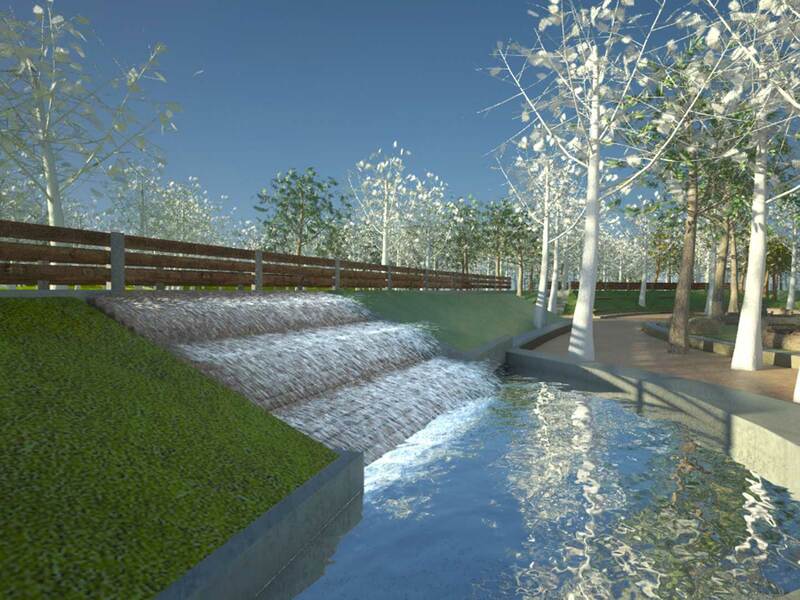 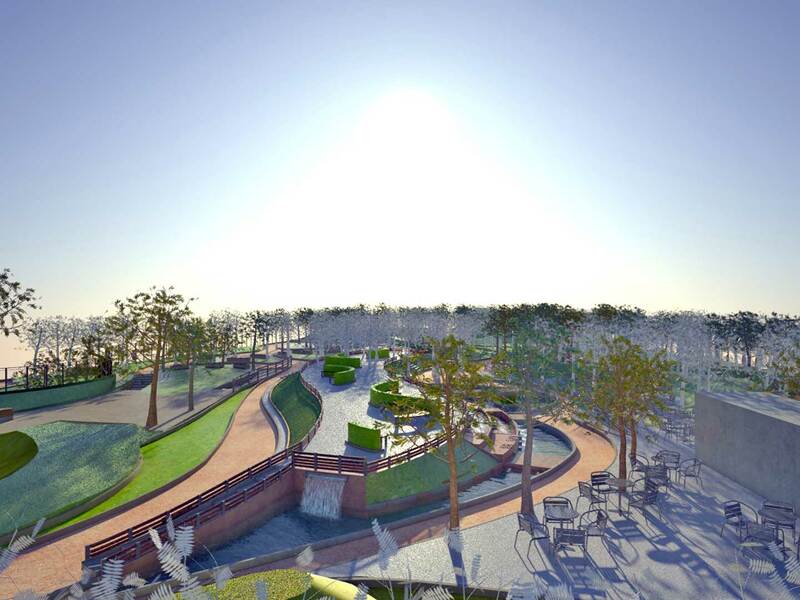 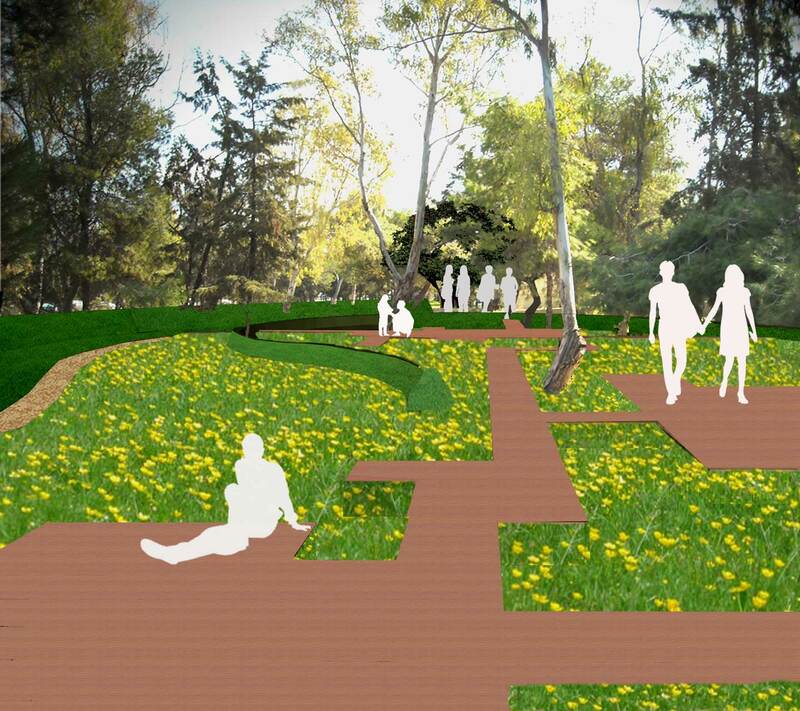 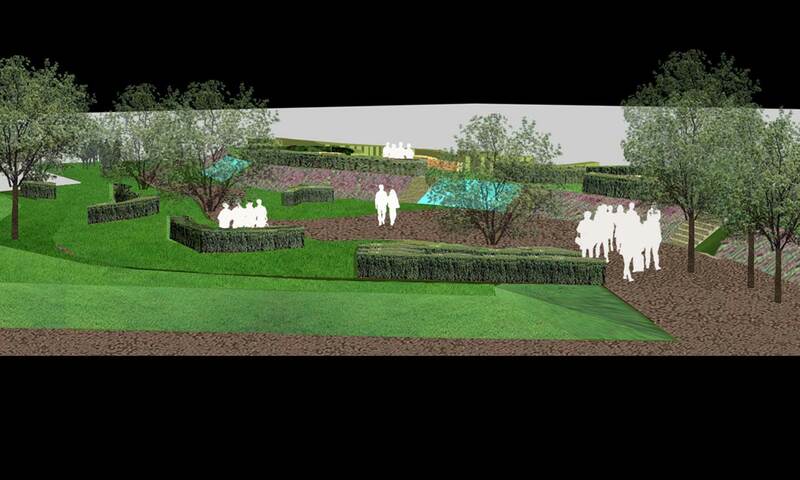 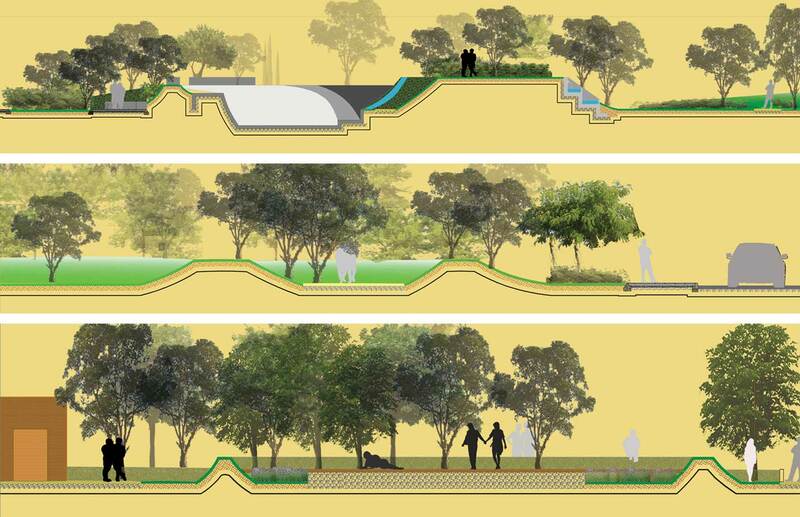 The guidelines offered by the local authorities for the landscape design of this large-scale project required that we respect and showcase the ecological nature of the area under study. 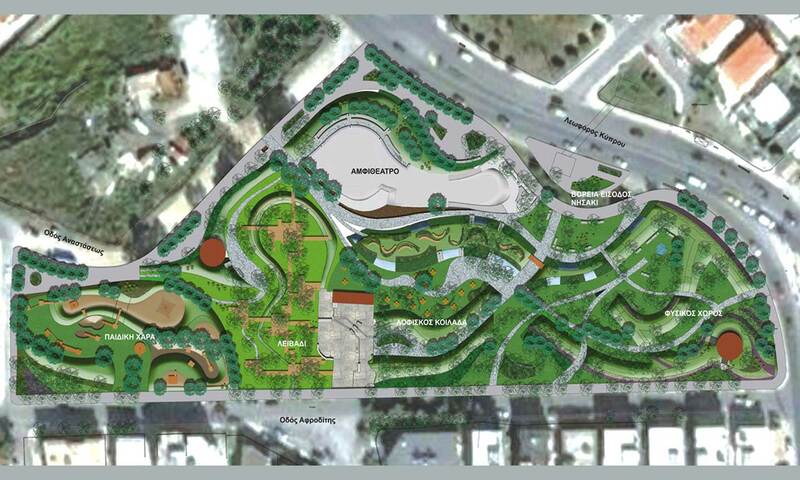 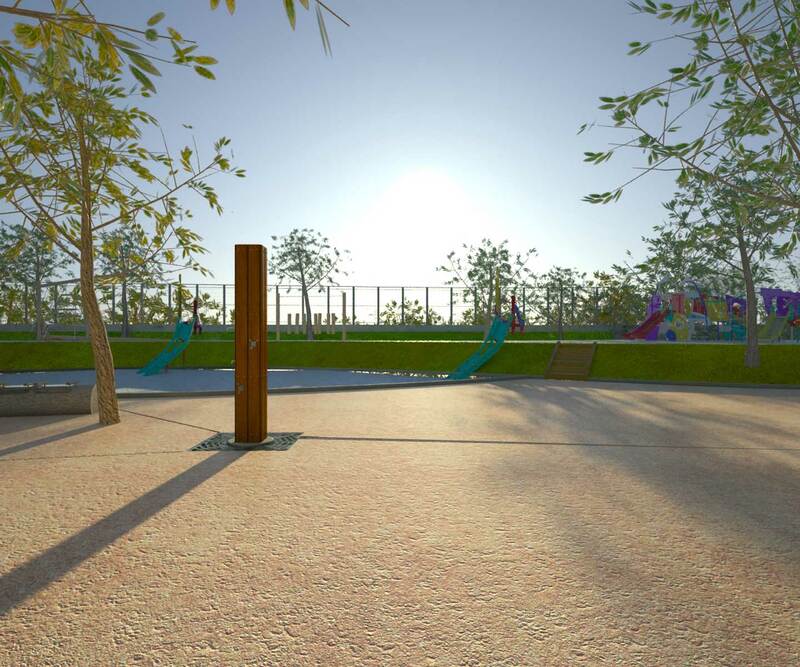 Essentially, our role was to create an urban park, one which would however have all the functionalities required to meet the diverse and immediate needs of the two neighbouring densely populated municipalities´. 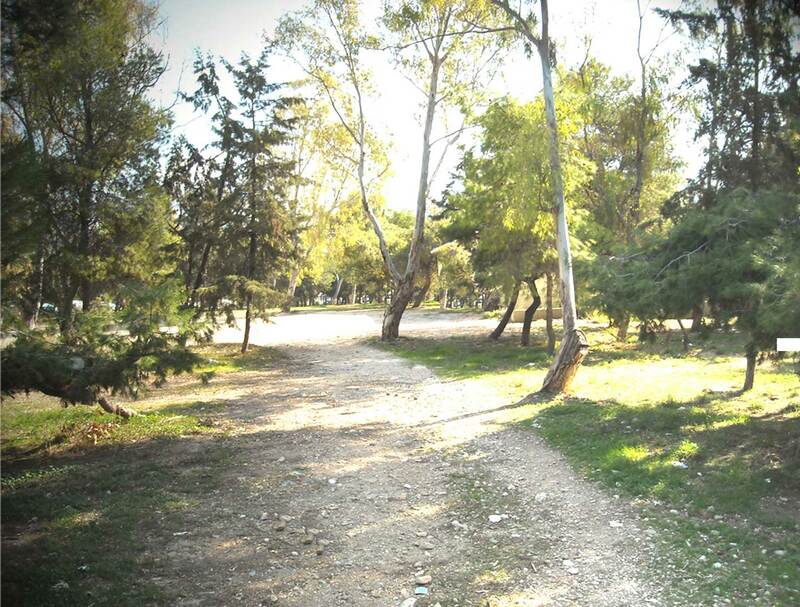 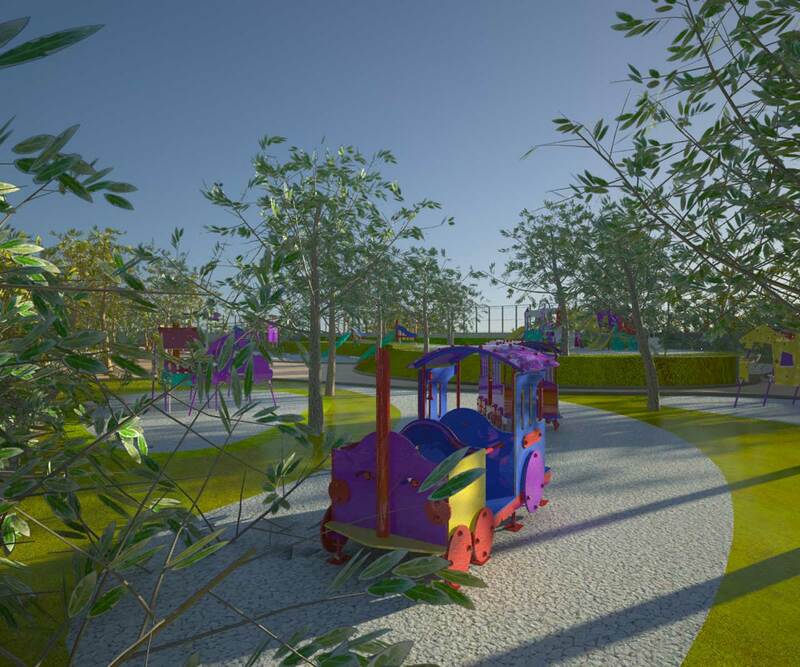 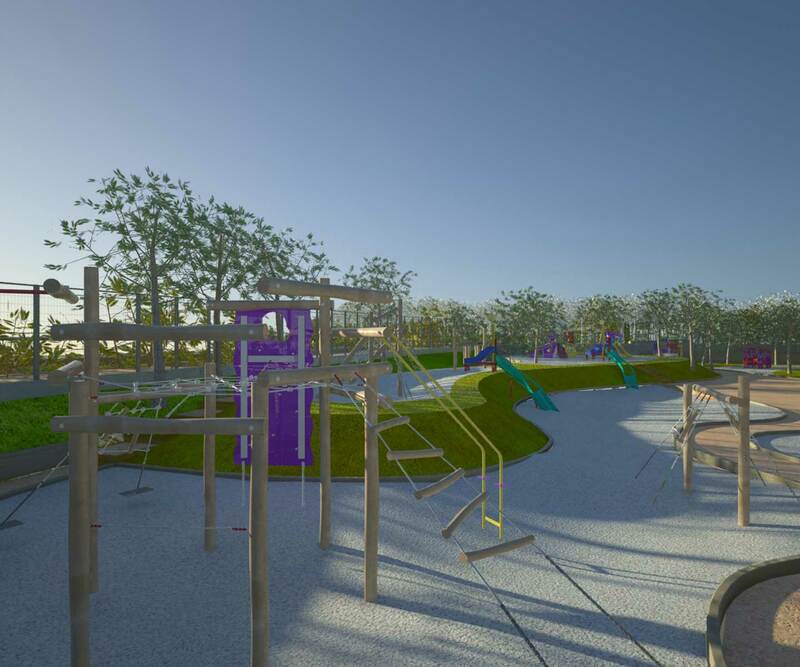 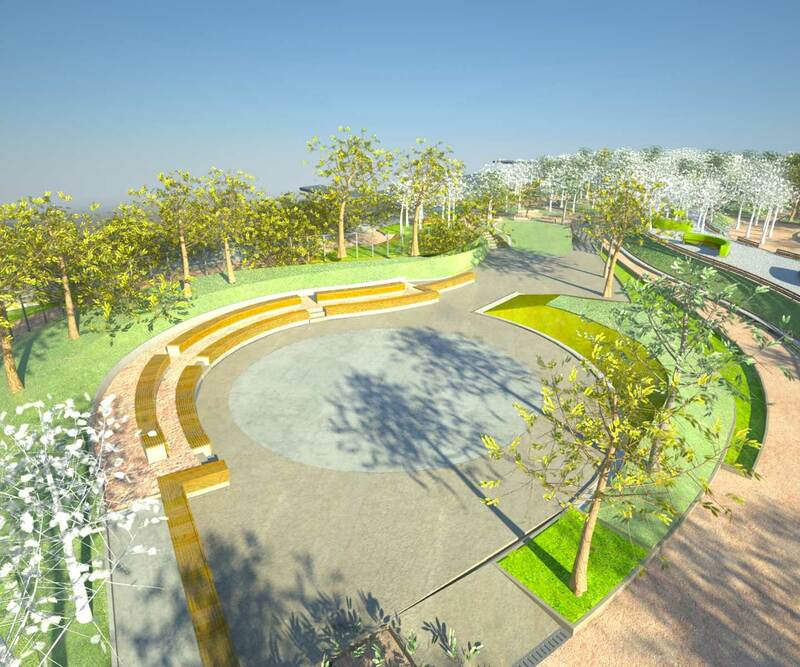 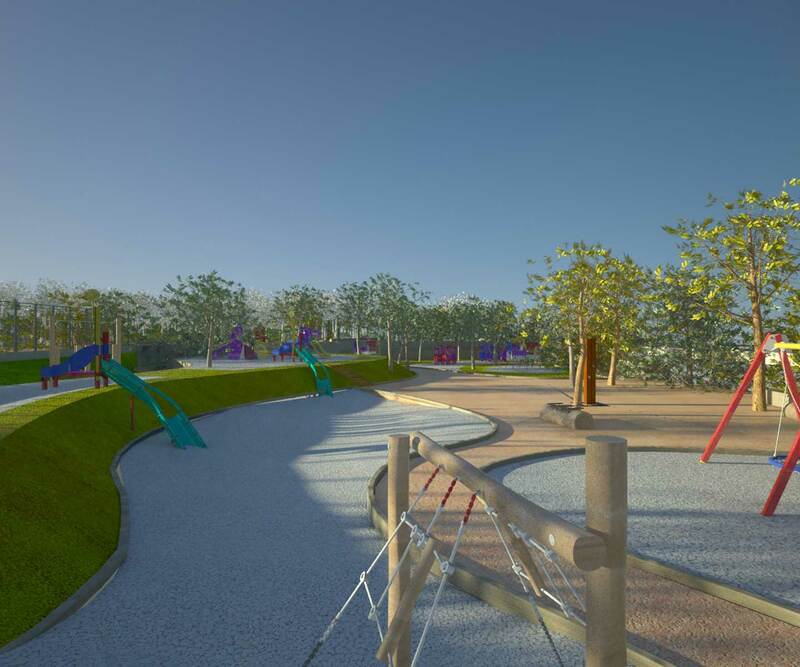 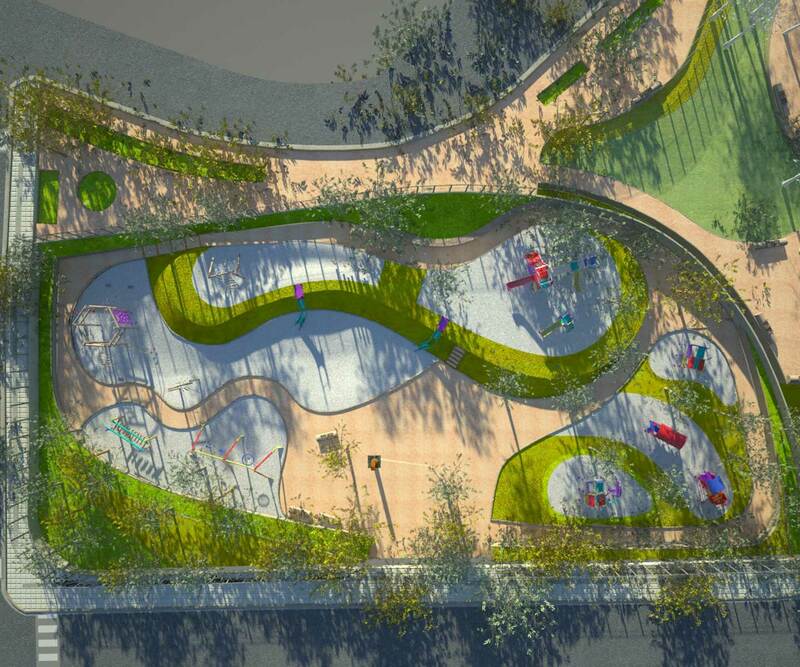 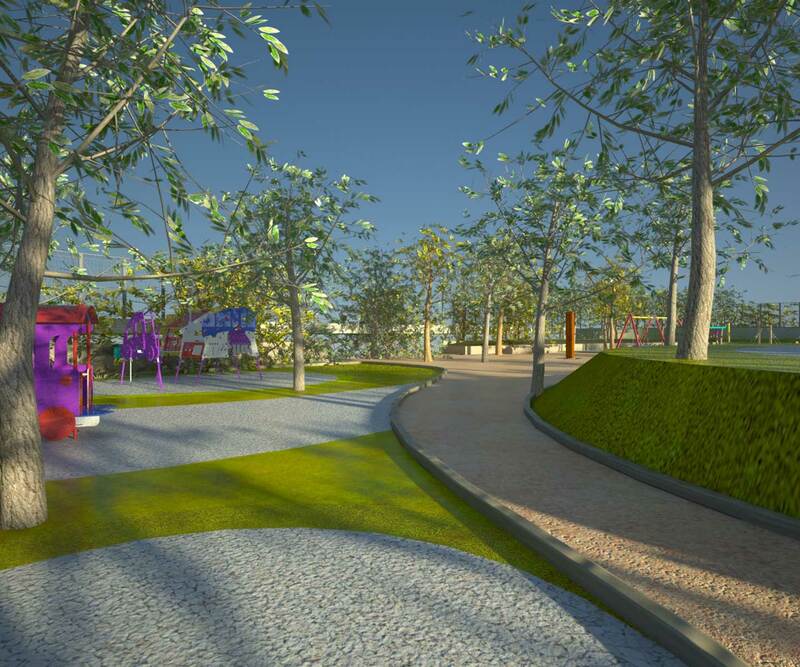 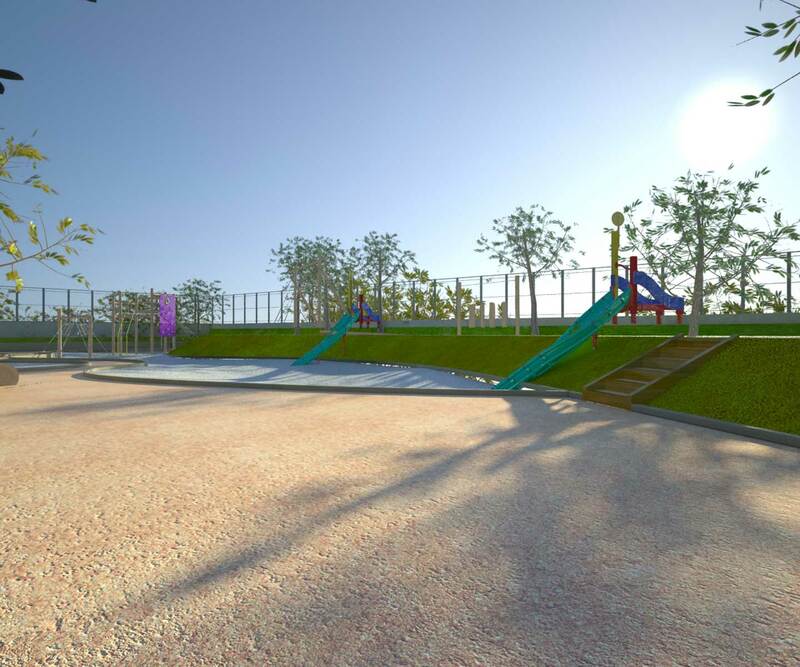 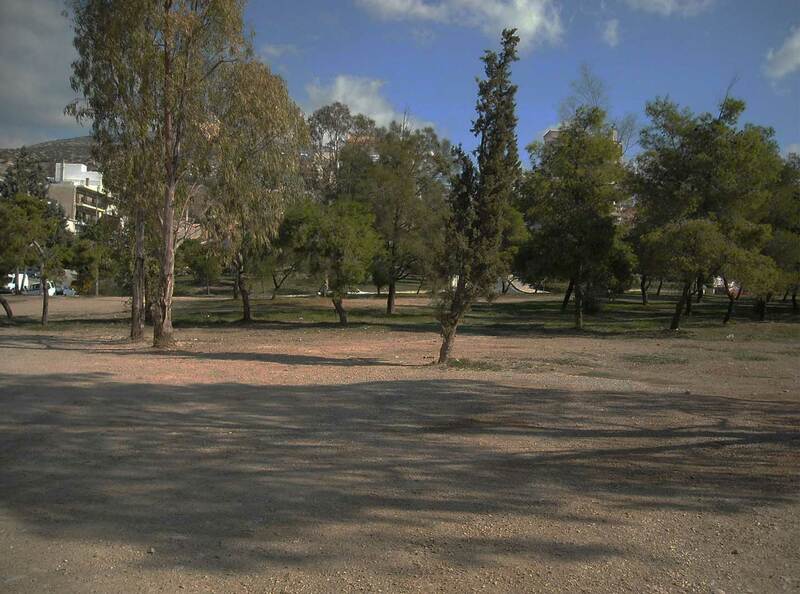 The park was developed into thematic units: the play ground, the field, the amphitheatre, the natural space, the hill and valley, the north entrance. 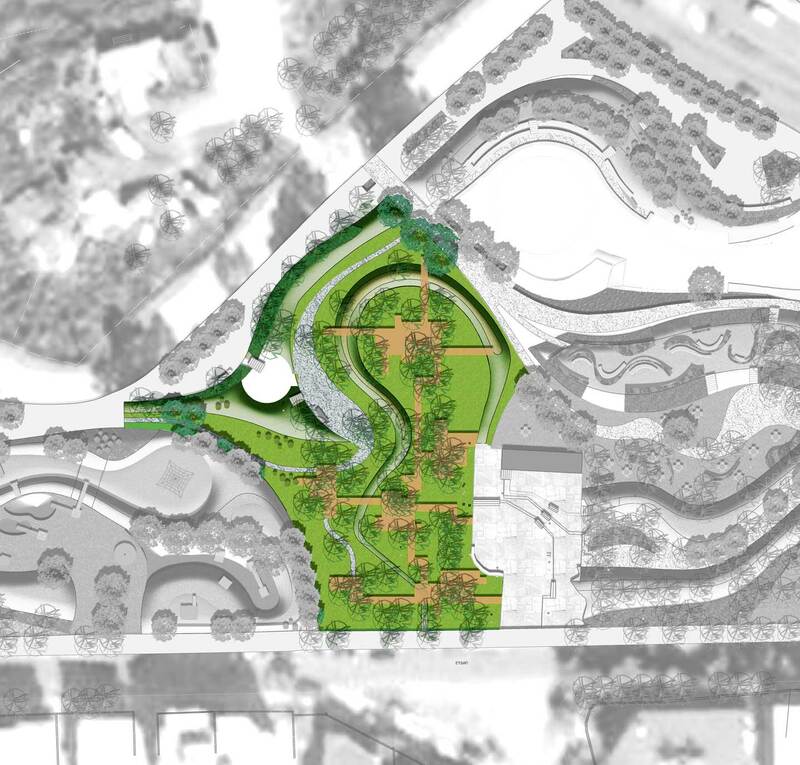 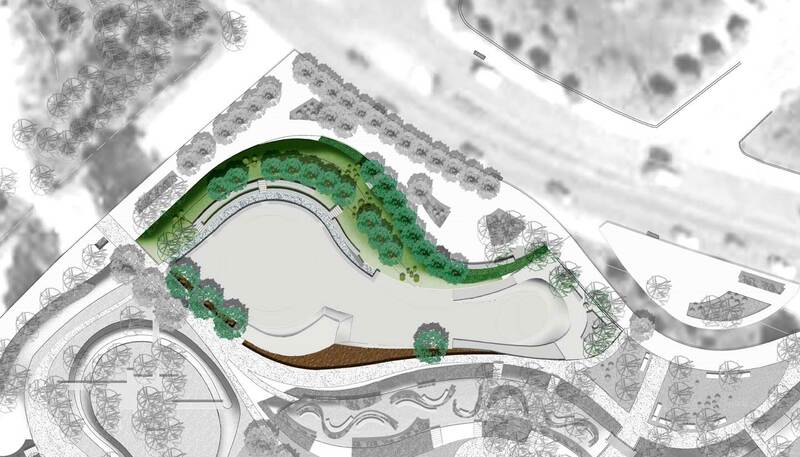 These spaces were formed using low, elongated hills, which run across the entire landscape in undulating organic forms. 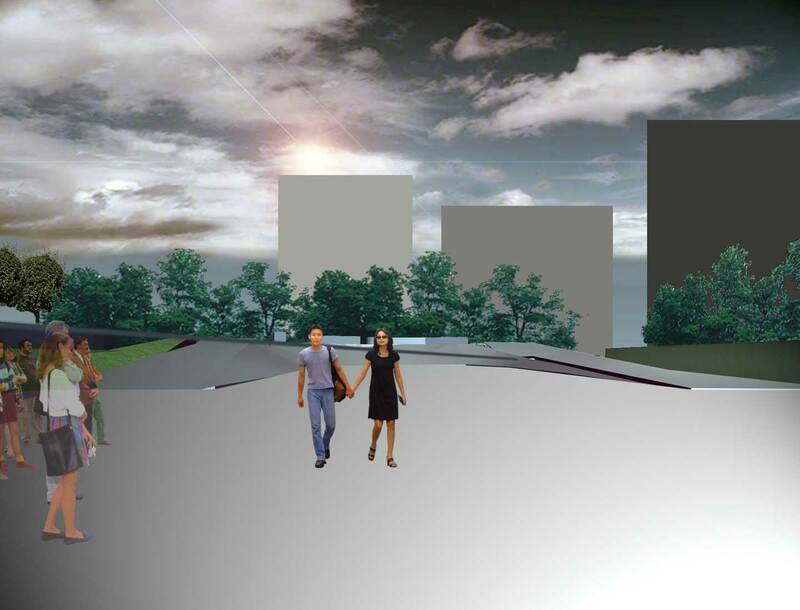 The network of major and minor paths was also entirely redrawn, tailored to the new arrangement of subspaces and allowing entry points which are natural extensions to the main streets of the surrounding urban landscape. 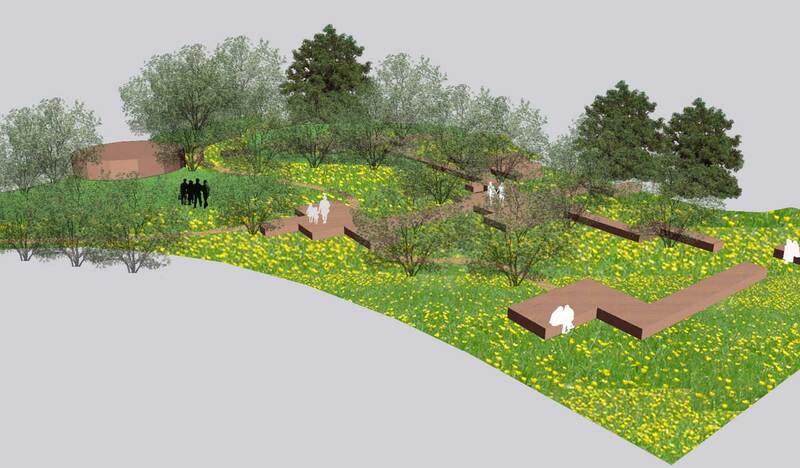 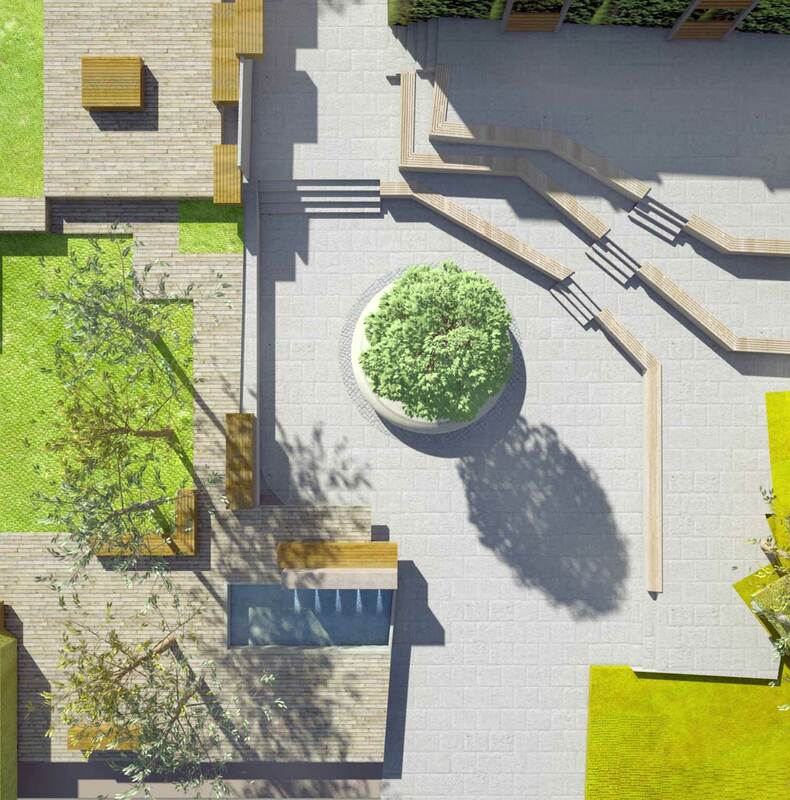 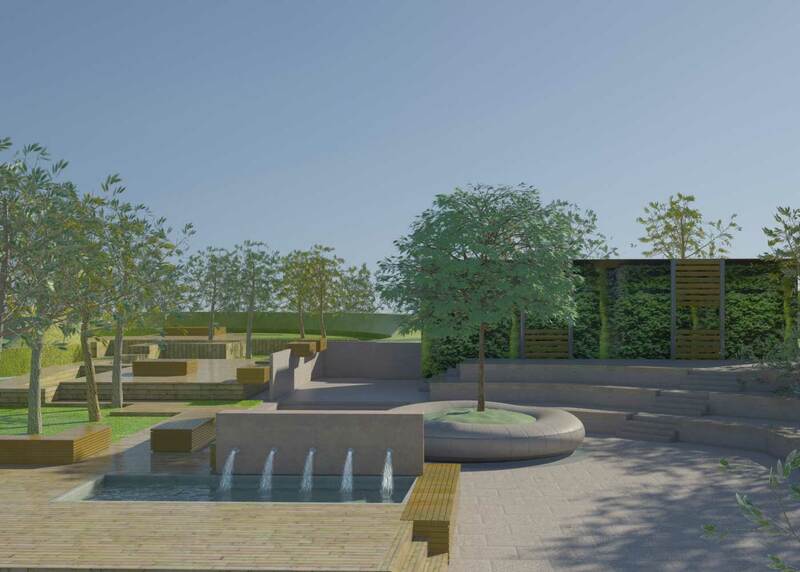 Conversely, the planting plan was largely a continuation of the existing flora, which is enhanced and highlighted with thoughtful and imaginative interventions.